From Dover and points North: Go south on Route 1. Turn right on Barratt's Chapel Rd. Drive west about 2 miles. Then left on McGinnis Pond Rd. Spence's Tree Farm is 1/2 mile on the right. 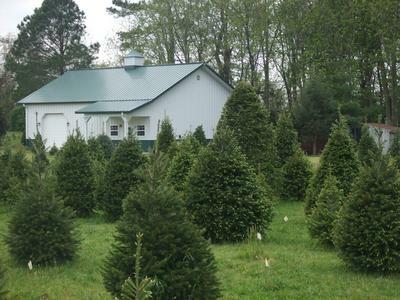 Leon and Diane Spence recall that day in 1996, when Ralph and Ruth Johnson asked them if they might consider buying the Johnson Christmas Tree Farm. The Johnsons knew we had a fondness for the trees, and they wanted to sell the farm to people, who would enjoy it as much as they had. After much thought, Diane and Lee decided to accept an "offer they couldn't refuse" and so, they bought the farm. From the beginning, Lee and Diane made the farm a family project. Their two sons, their families and friends all pitched in to help and through rain, shine, mud and snow, they worked to keep things on track. The whole enterprise, Lee relates, gives new meaning to "going green"! Lee and Diane wanted to share their love of Christmas and create a magical experience for all their visitors. 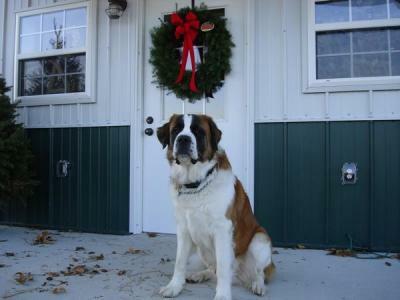 What fun would a Christmas tree farm be without a Christmas shop? 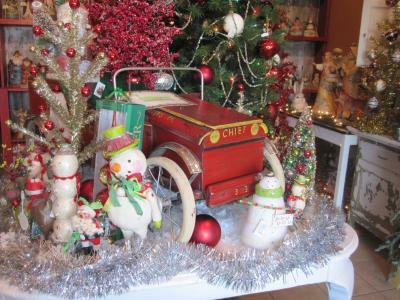 What began as a tiny log cabin, filled with primitive Christmas treasures, has grown to include a new shop filled with sparkle, whimsy and elegance. Rabbit's Hollow Christmas Shop offers a wide variety of Christmas decorations, along with electric trains, including an 8x16 foot working train layout. The Spence's have turned their memories of a beautiful fresh Christmas tree, trimmed with elegant decorations and surrounded by trains running under the tree, into a reality that all their guests can enjoy. They invite you and your family to join them in celebrating the spirit of Christmas! Opening from 1st Saturday in November until December 23rd. Closed Thanksgiving day. The farm is open weekdays from 1 p.m. to 5 p.m. and weekends and Friday after Thanksgiving from 9 a.m. to 5 p.m.
Douglas Fir, Fraser Fir, Concolor Fir, Norway Spruce, Blue Spruce, White Spruce, White Pine and Red Cedar. The farm follows a "you choose and we cut, or dig, ball and burlap" format. Tagging is available. Free netting is provided. Trees are available year round for use in landscaping. Vintage Sleds and Antique Trunks. 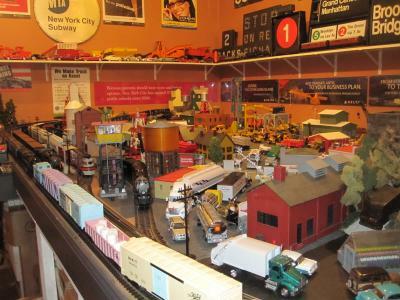 The shop also offers a selection of new and post war Lionel trains and accessories. Many other selections including Williams by Bachmann, plus Marx and American Flyer. Lionel ready to run sets for the youngest to oldest collector including "The Polar Express", "Thomas and Friends, Norfolk and Southern First Responders, Harry Potter "Hogwarts Express" and many more or ask to order your favorite, are 10% off for your Holiday Shopping. Repair services available on most models. Decorative wreaths and greenery are available or made to order. Complimentary hot chocolate and cookies served.